Council Meet-and-Greet. Thanks to all who joined us on September 20 for our meet-and-greet with the Council and mayoral candidates. 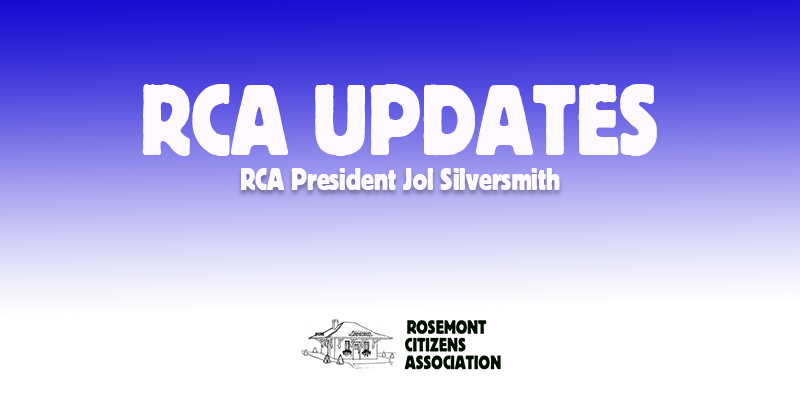 All of the candidates were in attendance and provided a brief overview of their priorities, as well as interacted directly with Rosemont residents. Also, our sheriff and police liaisons provide updated; an issue throughout the city continues to be thefts from unlocked cars. Metro Disruptions. The long-planned construction at the King Street Metro to rebuild and redesign the parking lot now is scheduled to begin in October, although staging is already in place. For information, please visit https://www.alexandriava.gov/tes/info/default.aspx?id=85338. Additionally, there will be no service between Braddock Road and Pentagon City between Friday, November 2 and Monday November 5, and there will be no Yellow Line service across the Potomac between Monday, November 26 and Sunday, December 9. For information, please visit https://www.wmata.com/service/track-work.cfm. Fall Is Coming. 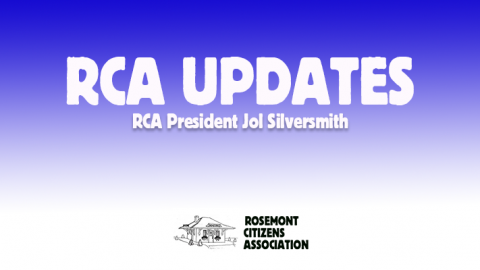 Registration for the Thanksgiving Turkey Trot through Rosemont and Del Ray is now open. For information, please visit https://www.alexandriaturkeytrot.com/civicrm/event/info?reset=1&id=21. Art on the Avenue in Del Ray will be held on October 6. For information, please visit http://artontheavenue.org.